For a little less than two weeks a tragic story about a missionary effort to North Sentinel Island in the Bay of Bengal has captured the imagination and stoked the resentment of many, both in conventional news outlets and across social media. As a teacher in the School of Intercultural Studies at Fuller Theological Seminary, the institution that gave impetus to the strategy of focusing missionary efforts on unreached people groups (a legacy shared with the US Center for World Mission), and also as someone committed to training Christian missionaries, I feel obligated to respond. North Sentinel Island. NASA Earth Observatory image created by Jesse Allen, using data provided by the NASA EO-1 team. I join John Allen Chau’s family and friends in their time of mourning. It is deeply sad whenever a life is lost. It is made even sadder when it is a young life, and when it is lost while attempting to share the Gospel. I mourn with his sponsoring missions organization, All Nations, as well. I am also mindful of Christians everywhere who are now forced to grapple with the ethics and morality of the choices that were made in this case, especially those that exist under regular persecution for their faith. This is an especially urgent concern for the Christians in India, who are an often-vulnerable minority and where religious freedom itself is not guaranteed in practice, even if it is espoused. As for the accounts that have been emerging of the missionary effort itself, details are still sparse but several are troubling. While Chau reportedly did complete some relevant anthropological and linguistic training, it is difficult to believe that his short-term mission trips over the past few years were adequate preparation for the extreme challenge he chose to undertake. Having a two- or three-year opportunity to practice his linguistic and crosscultural skills elsewhere prior to approaching the Sentinelese would have helped to shape his decision-making considerably. At the very least, it may have convinced him of the need to go as part of a team rather than as an individual. It is also concerning that he paid local fishermen to violate Indian laws that prohibited outsiders from accessing the island, regardless of the apparent purity of his motives. The fact that his previous face-to-face interaction with the islanders ended in violence, and that this event did not cause him to take time to reconsider his approach or seek additional counsel also justifies sober reflection. 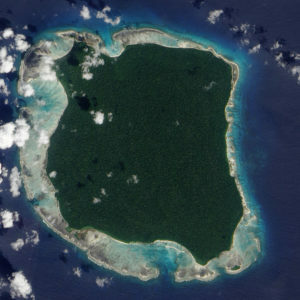 Further information will continue to emerge around this case, but it seems hard to imagine that the good he could reasonably be expected to achieve could sufficiently justify the risks he undertook for himself, and to which his presence on the island may have exposed the Sentinelese (despite the reported efforts he took to limit this impact). But regardless of these details or the many justified critiques that may be offered, it seems important in this moment to affirm some foundational truths and commitments related to the global cause of missionary efforts. First, it is good to believe that all people should have to chance to accept or reject the Gospel when presented to them in meaningful ways. This is consistent with accepted mission ethics and has the support of virtually all Christian churches. Sharing the truths of Jesus’ life, death, and resurrection is one of the deep joys of a life lived following Christ. Seeking opportunities to do so that demonstrate real and carefully-considered concern for the well-being of others is commendable. Second, missionary work, even at its most basic levels, is complicated. Good intentions are insufficient to prevent potential unintended consequences. This is only one reason why missiological reflection is so important and must be an ongoing and vital part of the work of the Church. Third, there are many extremely effective, sensitive, and difficult missionary efforts taking place around the world that deserve respect and commendation. Blanket criticism of all missionaries can only be offered in ignorance of these fine initiatives. Fourth, sharing the Gospel among people who are believed to have no access to it is among the most complicated missionary tasks to be undertaken, and deserves the most intense, critical reflection that can be offered. Subjecting such plans and strategies to a diverse community of prayerful, learned, and thoughtful people should be a required component of any such endeavor. In these cases, the stakes are always high, the chance of failure is unavoidably great, and any measure of success can only be credited to the miraculous work of the triune God. 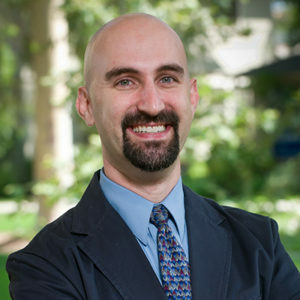 Dave H. Scott is Assistant Professor of Intercultural Studies and Children at Risk and Director of Institutional Research at Fuller Theological Seminary.